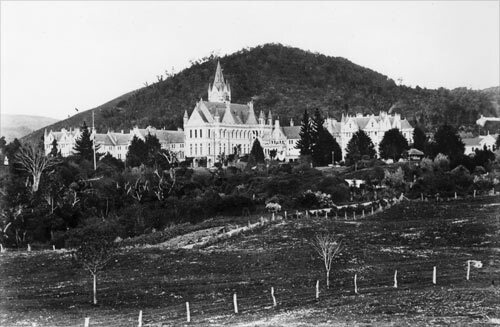 Emigrated to Australia in 1858 with his father Samuel. Initially began working in Melbourne, then in Koroit a small town near Port Fairy, Victoria and then emmigrated to NZ with his wife and three children c 1871. He firstly worked in Milton, Otago then moved to Clinton and Gore in Southland and finally settled in Dunedin. 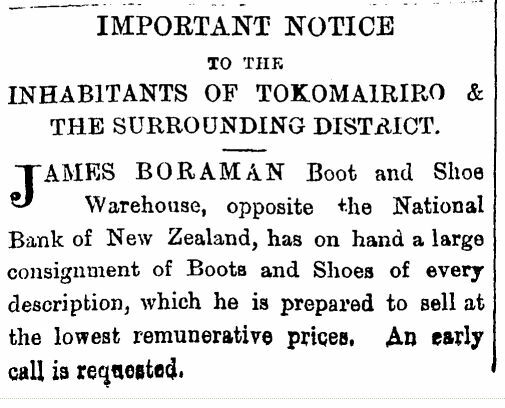 As he was the only brother to emmigrate to NZ, all NZ Boramans are descended from him. 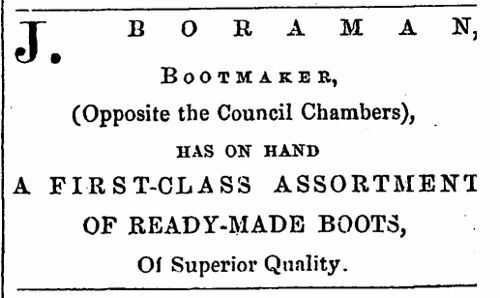 Note that Richard Boraman has a shoemaker's last which is believed to have belonged to James. 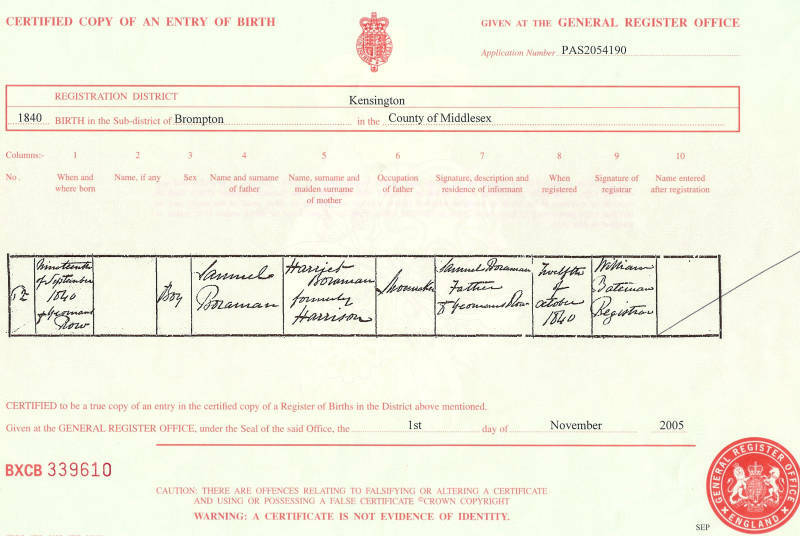 Note on his birth certificate no name is given ('Boy') but in the 1841 and 1851 census Samuel and Harriet have a son called James born in 1840. 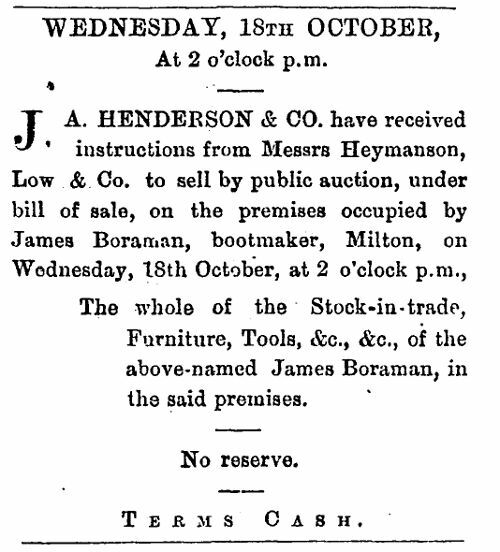 On 5 Oct 1875 James took an advert in the Bruce Herald to try and sell his stock of boots and shoes. 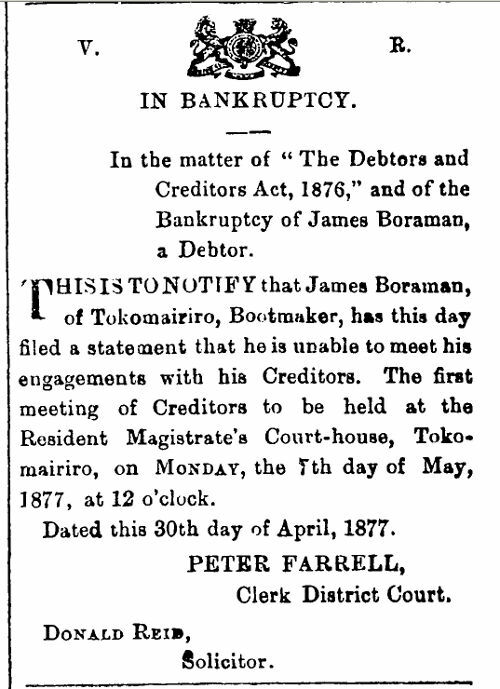 James filed for bankruptcy in Apr 1877. He suffered from senile decay in his later years and was admitted into Seacliff hospital for treatment where he died.